A ROYAL GROOMING JOB TO LOOK ITS BEST! This breed is very popular in the U.S. The Lhasa Apso is a small dog and is an excellent city or suburban dog. It is happy in all environments. It can be somewhat dicey around children so I would recommend that families with small children look elsewhere. The breed is extremely loyal to its family but can be standoffish with people they don’t know. They require a lot of grooming. Just take a look at the image above! The majority of the dogs with that long hair are mostly seen in the show ring. Almost 100% of the Lhasa Apso dogs I see in practice are shaved down. They are much easier to maintain that way. 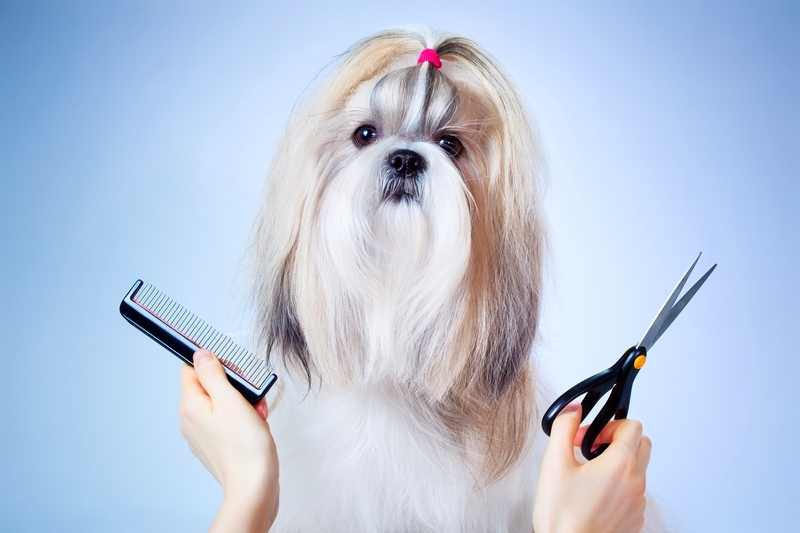 If you have the time to take care of a Lhasa Apso dogs long coat, the result is beautiful! If you look at that breed with that long coat, it might remind you of a dust mop! The breed has a bracheocephalic like skull with a somewhat flattened face and pronounced eyes (exopthalmic). Due to the placement of the eyes the Lhasa Apso is susceptible to corneal ulcers and other eye problems. They also have a lot of ear hair that occludes the ear canal that has to be removed to prevent ear infections. They are otherwise healthy dogs. As they age, the Lhasa Apso does develop dental disease and I recommend annual dental cleanings. As it gets older they often develop left sided heart failure which leads to congestive heart failure. I love Lhasa Apso dogs. That shrill bark of theirs lets you know when a stranger is around. Sort of like owning a mini guard dog. They are cute, cuddly little creatures. When little, they look like like polar bears! A fantastic breed of dog! Learn more about the Lhasa Apso at Animal Planet’s® Dog Breed Selector.